South Korean destroyer is steaming for Libya and South Korean special forces are on standby in Greece in preparation for a possible hostage rescue mission. According to the presidential office on Thursday, the Korean navy’s anti-piracy Cheonghae unit has redeployed from the Gulf of Aden and is heading for the North African country. A South Korean national, along with three Filipinos, was kidnapped in Libya by armed insurgents on July 6, Seoul’s foreign ministry said. “His country and his president have never once forgotten him,” Presidential Spokesman Kim Eui-kyeom said, according to the Yonhap news agency. Seoul’s move was apparently prompted by the release, one day prior, of video footage showing the un-named South Korean captive pleading for President Moon Jae-in to help win his release. “The government has been maintaining a close cooperation system with the government of Libya and other allies, such as the Philippines and the United States,” Kim added. According to local media, the Korean hostage had been working for a water management company in Libya. Korean firms have long been active in the country, particularly in construction and pipeline management. The identities and motives of the kidnappers are unknown. The 4,000-ton destroyer Munmu the Great, which has a machine-gun armed Lynx helicopter aboard, is en route to Libya, Yonhap reported. 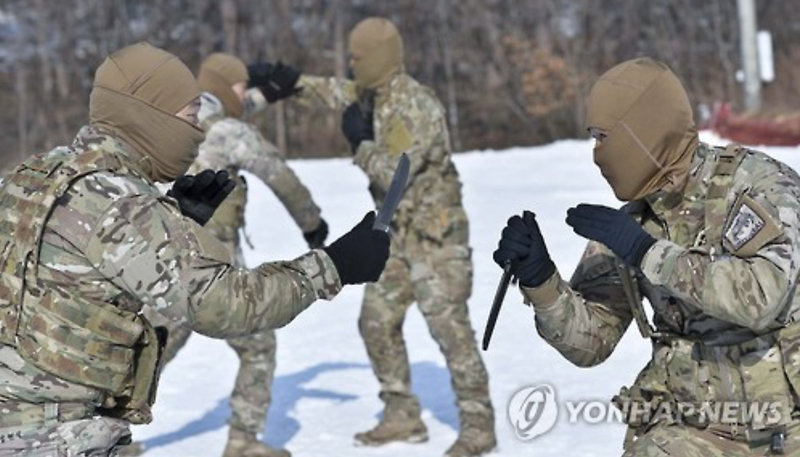 And a South Korean special operations unit is on standby in Crete, Greece, according to South Korea’s Joongang Ilbo newspaper. At what cost do we risk men's lives to help others pay for their STUPID tax? S. Korea has just diverted a Destroyer, and has a Special Ops team on standby to possible/maybe risk a hostage rescue operation because one of their nationals was batshit crazy enough to do work in Libya! Let's assume that Murphy shows up and one or more S. Korean Special Ops team members are injured ... I won't even touch on the price if one or more is killed. At what point does it make sense to say...you were stupid, you pay the price, we feel for your family but the message must be passed to the nation that we won't risk good men for bad decisions. Then let's balance the scales using pure logic. If a rescue is necessary and you have three S. Korean Special Ops members injured and it takes a year for them to get back to full duty (assuming they get back) yet the operation is successful then what has actually been gained? The message to the world community that they will move heaven and earth to save one wayward soul? But how do you balance the suffering of three families against one? Is the prestige real or illusionary? Is this done emotional/for politics or is their a military rationale behind the move that will advance S. Korean national policy? I hope that if a rescue is necessary that they pull it off without injuries or deaths and the guy is saved. If it isn't then my little mud balling here will pale in comparison to what the S. Korean people will do to the govt. I just don't know if the juice is worth the squeeze.